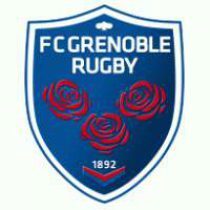 Toulon have allowed for an upset as they failed to close the one point gap against Grenoble as the score sits at 19-18. Toulon will be extremely dissapointed wuth this result whereas Grenoble will feel as if they have accomplished the impossible. Today's game was very slow and neither team had a massive score but for a true supporter of either team this was a match to remeber for better or worse. Toulon will have to start at the basics again while Grenoble will be hoping to use this game as a massive confident booster. We hope you enjoyed today's game.